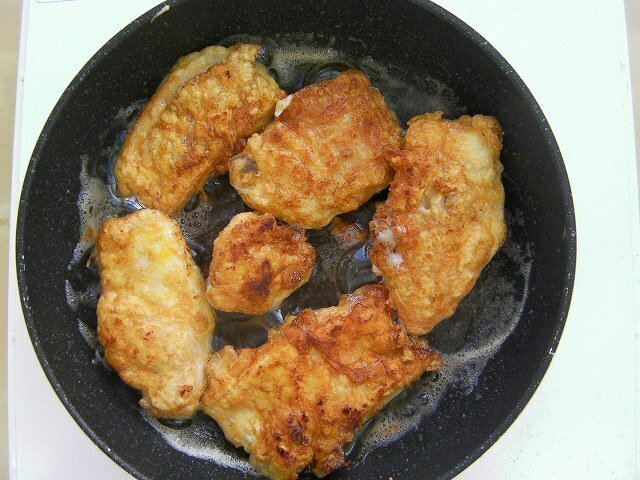 I cooked Fried chicken in Japanese(Chicken Nanban).This page is Fried chicken recipe in Japanese style.It is very very delicious.Fried chicken in Japanese sweet and peppery vegetable sauce was originally a local food in Miyazaki Prefecture, but is now eaten all over Japan.Please cook in a house. Put the egg to the room temperature more than five minutes and add water and a little vinegar and egg to a pot.Roll an egg with chopsticks until water boils.When it starts to boil over,turn the heat to low and boil for 12 minutes. 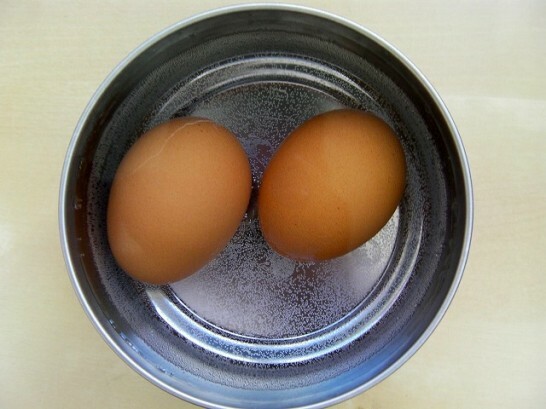 When it passed for 12 minutes, add an egg to cold water. 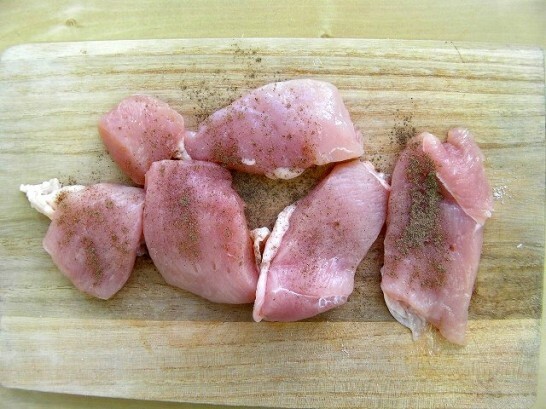 Dice the onion and soak in cold water. 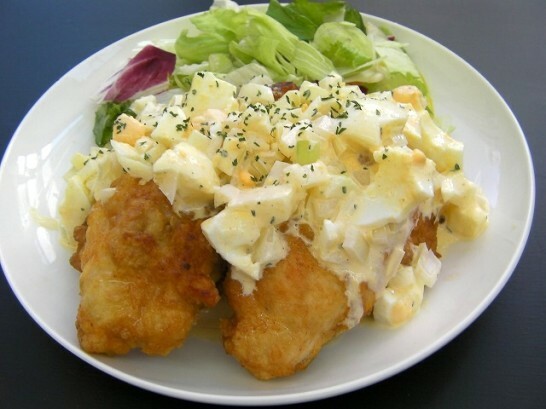 Smash the boiled egg in addition to a bowl and add onion,then combine ▲ingredients,dried pasely,salt pepper,mayonnaise,lemon juice,sugar,milk. Cut the chicken into bite-size pieces and season with salt and pepper. 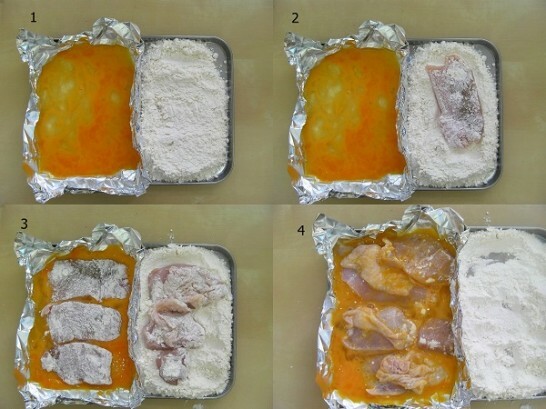 Coat the chicken with flour,then beaten egg. 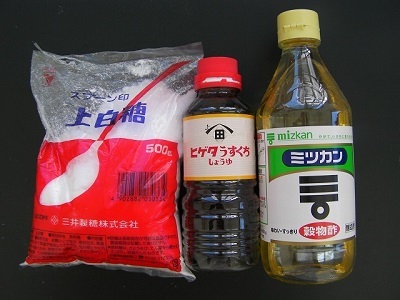 Add ■ingredients,sugar,soy sauce,vinegar and mix(Nanban vinegar). Heat the salad oil on a flying pan and put chicken into it.When it turns golden brown,turn over and cook the other side. 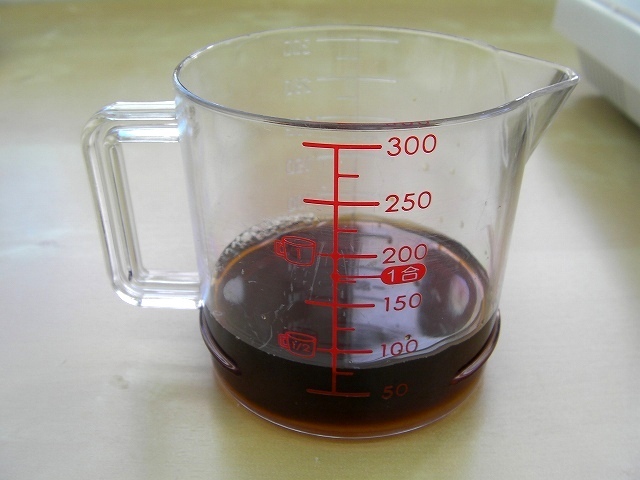 Wipe off the excess fat and add the■Nanban vinegar. 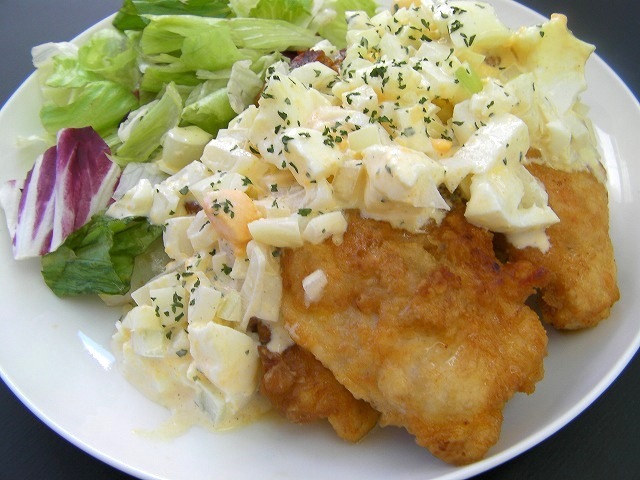 Serve on a plate and top with the tartar sauce. The key to good fried chicken in Japanese is to wipe off the excess fat.